London Stansted Airport is being sold to the owner of Manchester Airport for £1.5bn. The company selling Stansted is Heathrow Airport Holdings – formerly known as BAA – and will now be responsible for four UK airports: Heathrow, Southampton, Aberdeen and Glasgow. The buyer is Manchester Airports Group, which owns and operates Manchester, East Midlands and Bournemouth airports. Heathrow Airport Holdings has been forced to sell the airport after a ruling by the Competition Commission in 2009. 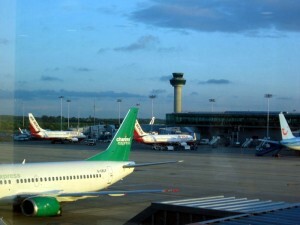 The Competition Commission ruled that the then BAA had to sell both Stansted and Gatwick due to concerns over a lack of competition between London’s three main airports, which, led by Heathrow, were all owned by the same company. The company did not challenge the decision in the Supreme Court but maintained that the ruling “fails to recognise that Stansted and Heathrow serve different markets”. The sale of Stansted is expected to close by the end of February.